Mascaras have always been the staple product in my makeup collection. I always try to have two types of mascara on hand; one for volume, the other for length. Whilst the ideal situation would certainly be to have one mascara which does both, sadly, I still have yet to find that ideal one. With claims of being able to magnify lashes for 13x more volume (wonder how they determine it to be 13x) and provide all day lasting curl, I was pretty skeptical with the mascara. After all, I always turn to the good ole Maybelline mascara whenever I’m out for new mascara. 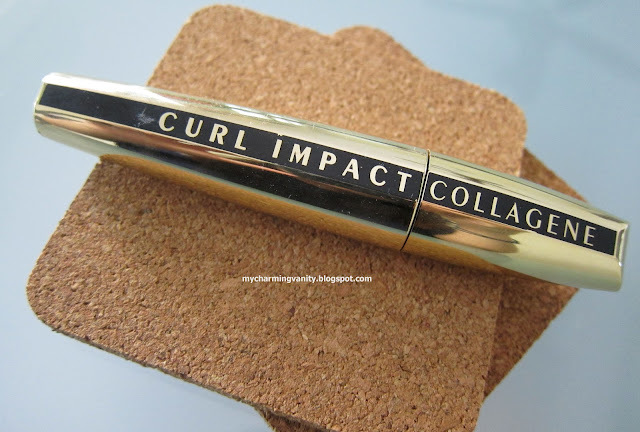 However, I was pleasantly surprised by the volume the L’Oreal Curl Impact Collagene mascara gives. Though I wasn’t impressed by its curling effect, I really enjoyed the extra volume from the mascara. After trying it for a few months, I find that in order to achieve the curl, I definitely need to give my lashes a good curl before and after applying one or two coats of this mascara. I find that only with this step, my lashes can hold its curl for longer period of time. One thing to beware is that this mascara clumps like nobody's business when over applied. Overall, though I do like the mascara, I wouldn’t say that it will go into my holy grail list anytime soon. Have you tried this mascara? What is your holy grail mascara? Thanks for reviewing this product! I've been trying to search for a new mascara and I was going to purchase the same mascara but I became skeptical. Other than that, your blog page is really cute and helpful! Please come check out my blog and help follow me as I will do the same! Thank you! Yikes. L'Oreal, as one of the cheap make up brands, often provide good products. But I have been pretty disapointed with their mascara lately because of the clumping factor. 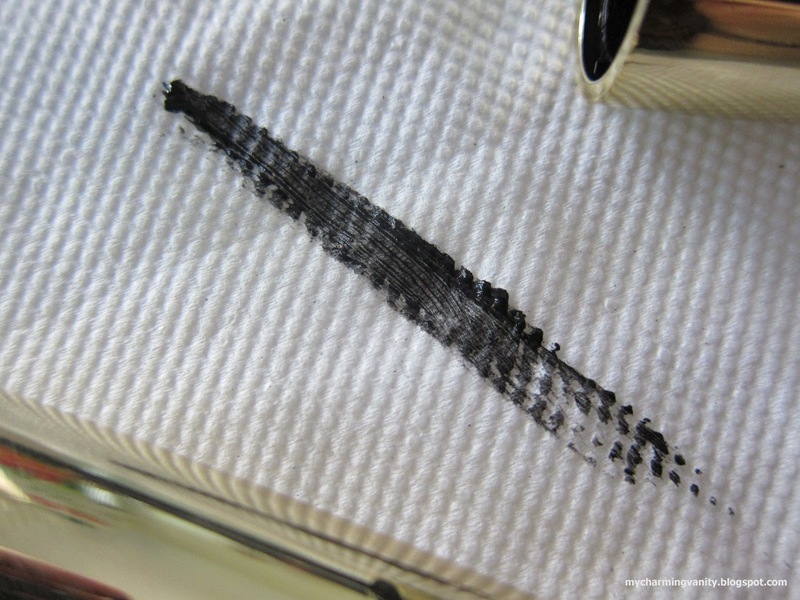 really don't like it when mascara clumps up T_T ugh. Totally agree with you on that! Hi, do you know if they have repackaged or discontinued this? I have the exact same one but now I can't find it anymore. Instead there are some with similar packaging but are differently named - "extreme resist", "volumizing" etc. 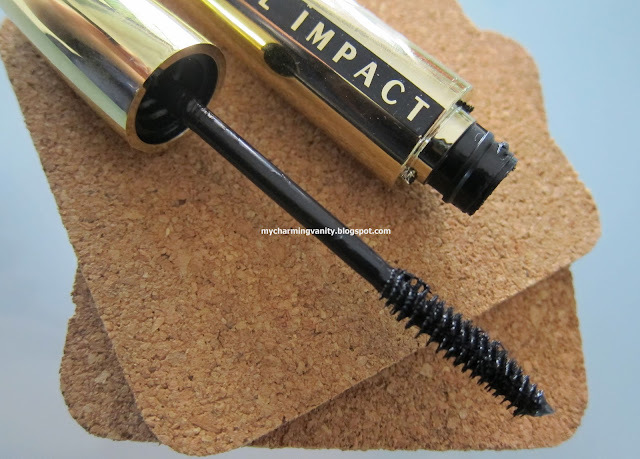 I really love this mascara and hope to repurchase it!